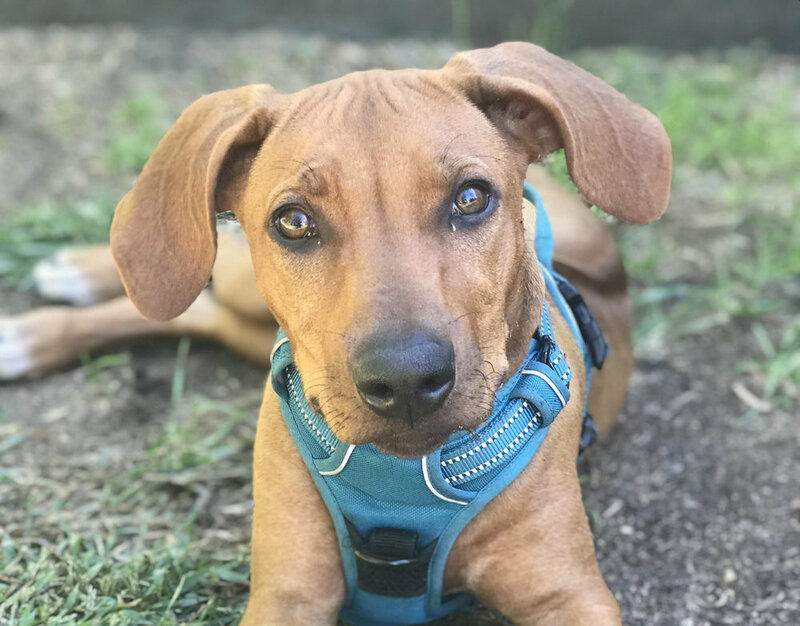 Early in her puppyhood, Lily was fairly destructive to our backyard plants — and keeping her from tearing up trees, plants and flowers caused daily drama. We used puppy kennels to improvise fencing around her key targets, and the destruction stopped. Here’s where Mike and I fell into a trap: after a couple successful weeks, we assumed Lily would get used to being unable to bite the landscaping. We took the fencing down. Two or three days of peace followed. Then Lily returned to dig, chomp and dissect her favorite plants — except with a stronger jaw and more teeth. It reminded me of how Mike and I stock our refrigerator. When we’re on a fitness kick, our fridge and pantry are stocked with healthy snacks, clean meals and zero unhealthy distractions by design. We can do this for months, but at some point, life happens and we lose that focus… and fill the fridge and pantry with “bonus” treats that make it impossible to hit our macros. Our lesson: Dogs, and humans, don’t make linear progress. Sometimes we take two steps forward and five steps backward. Keep the protective structures that make it easy for you to produce the desired behavior. Sure, you could thrive on sheer willpower, but I’d rather use the emotional energy on something else. Without question, the single biggest leap has come in the nonverbal communication Lily has with Mike and me. When Lily needs to go outside, she’s started sitting at the front door, quietly and perfectly still. If a few seconds pass by, and we don’t acknowledge her doing this, she’ll let out a small whine or cry to get our attention. This bit of nonverbal communication has kept us accident-free. That last one is Lily’s most obvious pattern: she paws at the device in our hands as we’re using it, and lets out a short, gruff grunt. If we’re on a chair or couch, she’ll try to climb onto it. The moment we sit on the ground with her, she snuggles up and falls asleep. We humans use non-verbal communication all day long. We just don’t always notice. Earlier this week, I was on a video call and noticed a team member who, when presenting his ideas in front of key decisionmakers, kept covering his mouth using a gesture that seemed like he was thinking hard. This move meant he was effectively talking through his fingers — and he kept doing it every time the client asked a question. “I had no idea I was doing that,” he said. “I’ve never even thought about what I look like in their view,” he said. With video, everything in the frame matters. In your video meetings or webinars, are your verbal and nonverbal communication aligned? Our mission is to be impossible to misunderstand. With our puppy Lily, this requires absolute consistency in our standards, language and behavior. With teams, it requires crisp, articulate messages delivered with conviction and transparency. And to achieve this, the non-verbal cues — eye contact, facial expressions, posture, hand and body movements — must match the message I’m delivering.